Depth Psychology: Empowering Multicultural Women in the Wider World-An Interview with Self-Made Media Mogul, Nely Galán, MFT. A Guest Post by Bonnie Bright, Ph.D.
We’ve all heard the adage that success doesn’t always bring happiness, a concept Nely Galán knows well. As a Latina and a self-made media mogul who has produced hundreds of television shows, headed a TV network, and generated a significant amount of income, she felt an odd sense of relief when the economy crashed in 2008, bringing many of her projects to a halt. She realized the extent to which she felt like a hamster running around a wheel, and while she would never have tried to exit the industry if she had maintained her level of involvement in multiple projects, the economic downturn provided her a way out. By that point in her life, she had been through psychotherapy and understood, from a personal perspective, how powerful it could be. Acknowledging that she had always wanted to go to school to study psychology, she took the plunge; first finishing a B.A., before applying to Pacifica, which had already been in her “mind and heart for a while,” as she reveals. In hindsight, Nely believes she had been feeling incongruent in her career because she was in a field where much of the focus was on achieving success and was not “journey-oriented.” In other words, sometimes she would work on a TV show that was deemed successful, resulting in a directive that she go on to make 20 more of them even if making the series was a terrible experience for her. On the other hand, sometimes she created a program that felt very deep and profound for her, yet because it didn't attract enough viewers, it was immediately dropped and forgotten. For the human psyche, that process of rewarding efforts that aren’t fulfilling, which mandates more of the same unfulfilling work, can be very confusing. It’s a stereotypically American definition of success, Nely believes. Once she went back to school, Nely realized that the values of success she grew up with, as a Latina, were different that those she had been experiencing in her career. Even though she made good money, she didn’t live a grandiose life, she points out. Rather, she saved her money and invested it wisely, which ultimately enabled her to take a break from work. These values, stemming from her Latino heritage, played a critical role in what unfolded next. For Nely, depth psychology provides a powerful lens for introspection and for examining ideas about diversity—not only as it relates to herself, but also in how it’s viewed in a field that can be superficial, yet lucrative. “There’s a real revelation when you realize happiness and money don't go together, and sometimes things that you dream about, when you actually get to execute them, are not what you thought they would be,” Nely points out. However, this results in a shift when you comprehend what truly makes you happy. In the United States, success is oriented around what, from a depth psychological perspective, is referred to as “masculine” or “patriarchal.” It’s linear, transactional, and goal oriented, valuing individuals “if you can do something for them, or if you're somebody, or if you've achieved something”—as Nely emphasizes. Further, in current societal definitions of success, taking time for one’s self is vastly undervalued. These values contrast greatly with those of people from traditional cultures. For multicultural people, and particularly for women, who are both journey-oriented and relation-oriented, it is difficult to find happiness solely in a transactional life, Nely contends. Once she began studying depth psychology, Nely also noticed that the conversation about diversity and psychology was still in its infancy, including what psychology could mean for multicultural people. 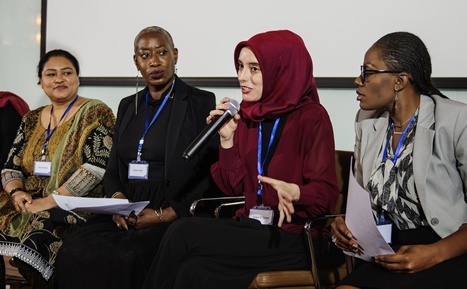 "How can psychologists around the world deal with these different cultures when there are so many gaps in how we deal with multicultural people psychologically?" she wondered. To begin to ascertain the parameters of the problem, she studied the different psychological techniques already in use when working with and treating multicultural people and also where the process is lacking. A lot of multicultural women cannot or will not go to therapy because there is stigma attached, Nely reports. 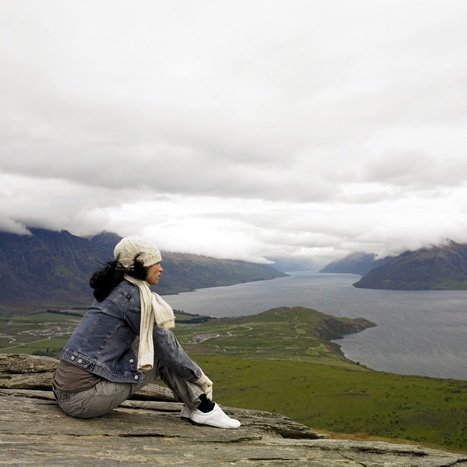 In their cultures, psychotherapy is not portrayed in a positive light. As she considered the situation, a number of questions began to arise for her, including how to address those limiting beliefs, how to reframe the concept of therapy, and how to create an environment that feels safe for people to seek therapy. In her research, Nely began by looking at her own Latino culture, with the understanding that when psychology works in Latino families, it is related to a desire for a group experience, such as family systems therapy. Because of her connections, she realized that she had the capacity to gather different Latina women together in a setting in which they could feel vulnerable and comfortable with each other. This idea led to a tour, which she called the Adelante Movement. “Adelante,” in Spanish, means “move forward.” During the series of free events, which she hosted all over the country, Latinas came together to meet one another and tell their stories, many of which included their experiences with psychotherapy. While on the road from 2012 to 2015, Nely witnessed the tour evolve to include women from a diverse collection of cultures. The common denominator with all of them was that they felt trapped, whether in relationships or bad job situations, because they had never become financially self-reliant. At one point, given her burgeoning understanding of depth psychology, Nely recognized there was a meaningful opportunity to engage cognitive behavioral therapy as a framework to initiate real action around financial literacy and self-reliance. Participants could learn how to take steps that would serve them for the rest of their lives. Perhaps the most powerful aspect of the groups, according to Nely, was hearing successful, iconic women talk about their problems—about feeling suicidal, being abused, or not feeling as if they belonged. Most importantly, many talked about their experiences with therapy and why it worked for them, an outcome that often contradicted their original ingrained beliefs and expectations. The stories opened the door for more women to speak freely about feeling alone, needing help, and being able to share their problems with other people—all conversations that would not have happened without a safe and sacred environment. When Nely learned that participants were longing for more ongoing, concrete help to take action on their issues, she tapped into the power of the digital age by implementing a website, newsletter, and webinars. These served to enhance the cognitive behavioral therapy experience and to continue the relationships from afar. Psychotherapy does not necessarily have to look like sitting in a chair with a client, she asserts. 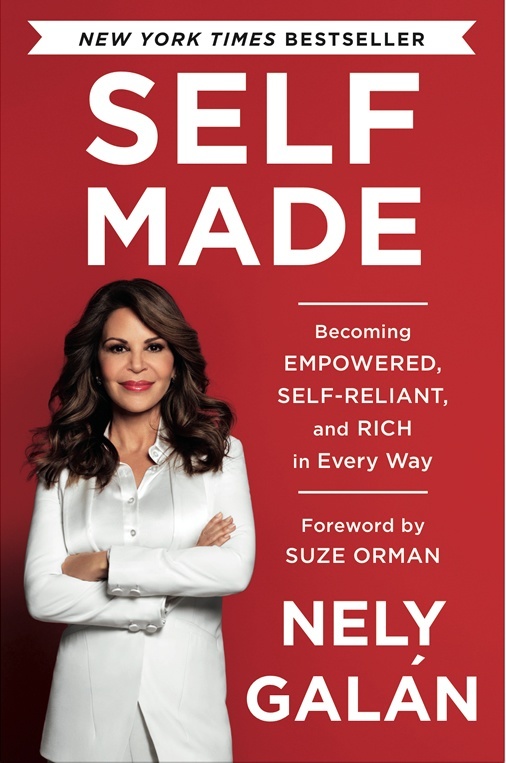 The data that Nely collected from these conversations ultimately formed the basis of her New York Times best-selling book, Self Made: Becoming Empowered, Self Reliant, and Rich in Every Way. 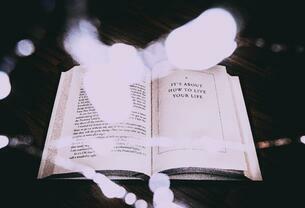 The book offers advice, grounded in cognitive behavioral therapy, about finding happiness in many aspects of life—not just economically, but also in areas like family, love, and spirituality. Grounding oneself in healthy psychological beliefs about money, and understanding psychological processes around taking care of oneself first before prioritizing others are just a couple of issues the book addresses. While the content appeals to a wide audience, it may be helpful, for example, to working women such as therapists who, on one hand, offer essential and valuable work for their clients, but who, on the other, still struggle financially or feel challenged in dealing with their practice as a business. In her own life, Nely admits that while she still faces the same worries and challenges she always has, no problem seems insurmountable anymore because she now knows how to address them using proven techniques—many of which she gained while pursuing her graduate degree in the Counseling Psychology program at Pacifica. In particular, she cites the work of C. G. Jung and the mentorship of Christine Downing (author of The Goddess and one of Nely’s professors at Pacifica) with providing new tools to help solve complex problems, creatively and authentically. She also maintains a spiritual practice of meditation to help quiet her mind. At the time of our conversation, Nely was preparing for a three-month sabbatical. She had just returned from an intensive 150-city tour around the U.S., having hosted events with Asian women, Muslim women, African American women, Middle Eastern women, men, children, families, and Latinos. Thanks to her studies at Pacifica, Nely recognizes the value of taking time to look inward to process what she experienced and learned from her time on the road. When one gets so engrossed in external activities, it is easy to “go down the rabbit hole” and start feeling lost and alone. It is critical at such times to step back, re-focus on yourself, and let intuition guide you to the next step you should take. It is something mythologist Joseph Campbell (who was one of the supporters of Pacifica’s vision in the early years) would do, she reminds me. As our conversation came to a close, Nely recognized a budding desire to be more explicit about her formal training in psychology in the work she does in the outer world. While she has managed to incorporate much of the psychological theory she has learned into the initiatives she is leading, she does not always speak about her clinical background specifically. “There are unique, creative ways to use your psychology degree to do incredible work in the world that is not the way that you thought it would be,” she acknowledges. Indeed, bringing depth psychological applications to the wider world continues to provide important and innovative opportunities for transformation in individual, group, and community work, and Nely Galán is leading the charge in her own unique, thoughtful, and dynamic ways. 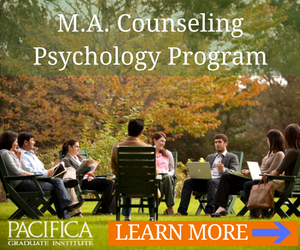 Learn more about the Counseling Psychology program at Pacifica. Nely Galán is a self-made media mogul. Dubbed the Tropical Tycoon by the New York Times Magazine, she was the first Latina President of Entertainment for a U.S. television network (Telemundo). She is an Emmy Award-winning producer of over 700 episodes of television in Spanish and English, which she produced through her multi-media company Galán Entertainment. Galán is the founder of The Adelante Movement, which seeks to empower and train Latinas and Multicultural women economically and entrepreneurially. She is the author of The New York Times best-selling book Self Made, Becoming Empowered, Self Reliant, and Rich in Every Way (2016) Random House, about the revolution in women’s entrepreneurship led by multicultural women in the U.S. and emerging women around the world. Bonnie Bright, Ph.D., earned her doctorate in Depth Psychology at Pacifica Graduate Institute. She is the founder of Depth Psychology Alliance, a free online community for everyone interested in depth psychologies, and of DepthList.com, a free-to-search database of Jungian and depth psychology-oriented practitioners. She is also the creator and executive editor of Depth Insights, a semi-annual scholarly journal, and regularly produces audio and video interviews on depth psychological topics. Bright is especially interested in ecopsychology, dream work, and divination, and has completed 2-year certifications in Archetypal Pattern Analysis via the Assisi Institute and in Indigenous African Spiritual Technologies with West African elder Malidoma Somé. She has also trained extensively in Holotropic Breathwork™ and the Enneagram.